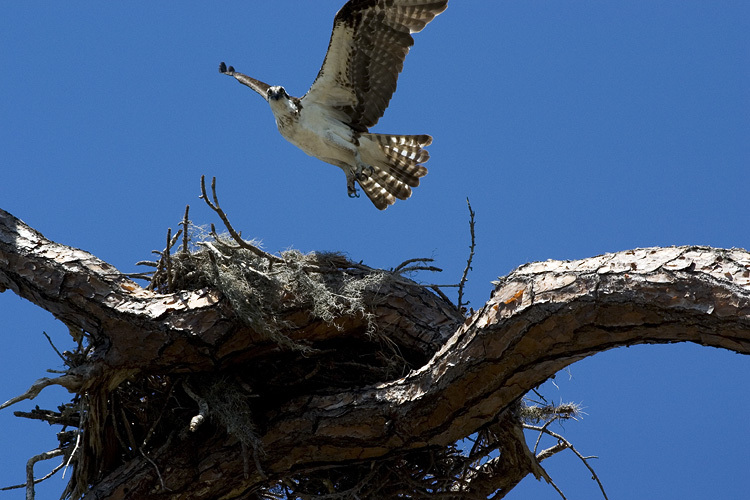 i hadn't planned on posting this image, but today i brought julie to see this nest and was saddened by what i saw. laying on the ground directly below it was a dead osprey. it was smallish, so i gathered it was this one's offspring. someone had put a few roses on the carcass... i guess i wasn't the only one who appreciated this family of birds.